The allure of instant photo printing may have passed for most folks, despite some semblance of Polaroid hanging around, but a French startup is looking to rekindle the habit. 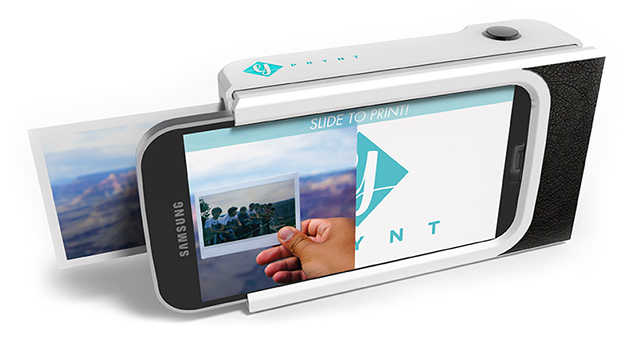 The company is working on Prynt: a phone case that packs a compact printer inside a frame that resembles a point-and-shoot camera. Right now, prototypes are capable of putting ink to paper for physical copies in just under a minute; however, final models will reduce that time to under 30 seconds. The shell also houses 10-30 sheets of paper for individual prints, and thanks to a companion app, outputs can be used to view captured videos with bit of augmented reality magic. There's a physical connection to your phone too, so you won't have to rely on Bluetooth or WiFi to send flies along. Of course, Prynt has a long way to go, but a Kickstarter is planned for early next year where the first units will be available for $99.